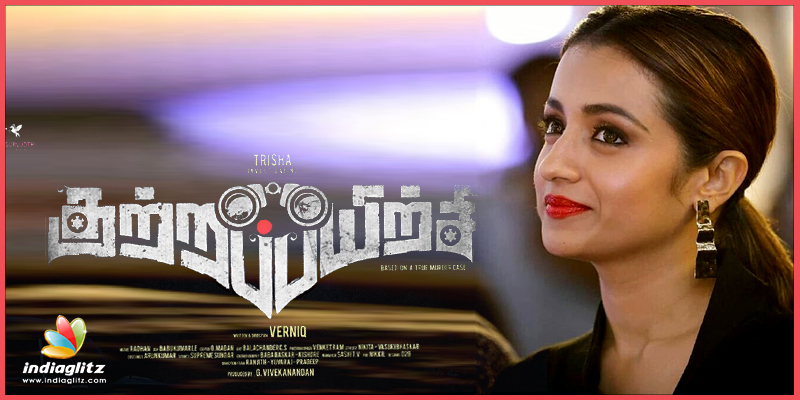 Actress Trisha has been holding audiences captive with her performances for the past 15 years in Tamil cinema. The actress who didn't have a single release last year now boasts of a slew of releases for 2018. The latest buzz is that the actress has signed a project titled 'Kuttrapayirchi' for which director Verniq has called the shots. It is also worth mentioning here that Verniq has worked as an associate to ace director Bala earlier. Another interesting tidbit is that the film is based upon real incidents and touted to be surrounding the adventures of Rajani Pandit who is hailed as the first women detective of the country. Apparently, the story will be based on a mysterious murder that happened at 1980 and solved by the Rajani. Music composer Radhan who titillated music fans in 'Arjun reddy' has been roped in to score the music for the 'Kuttrapayirchi'. 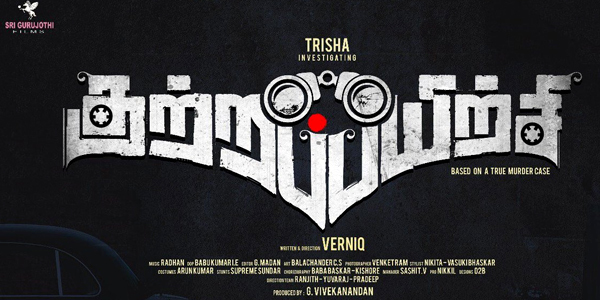 Babukumar has cranked the camera for the film with editor Madhan making the cuts for this highly anticipated movie. 'Kuttrapayirchi' will be produced by G.Vivekanandan under the production banner of Sri Gurujothi Films. It is expected that the teaser, trailer release details of the film will be announced by the makers of the film shortly.